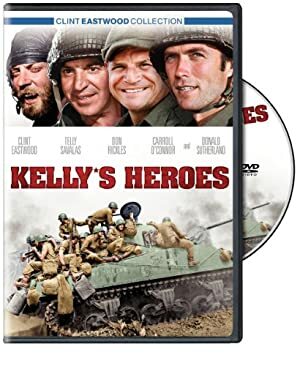 Kelly’s Heroes is a 1970 war comedy film, and a bit of a cult movie. It depicts the adventures of colourful American soldiers who decide to steal a gold cache after D-Day. Group Affiliation: 321st Armor Division. Base Of Operations: Northern France. Height: 1,80m approx Weight: 75kgs approx. Sgt. Oddball is a good tank commander. His Sherman tanks are in theory the fastest of the European theatre of Operations (ETO). Sgt. Oddball and his men, part of the USArmy 321st Armour Division, landed in Omaha Beach, Normandy, on D-Day, and fought all the way to Nancy under an officer who wanted to be a hero. When the commanding officer was decapitated by a 88, Sgt. Oddball did not report the death. As a result of the commanding officer’s death, the tank troops quickly started to live as if they were in a hippie community, fraternizing with the local French women and engaging in an otherwise party-like lifestyle. Until Sgt. Oddball overheard one of the Kelly G.I.s discussing a plan with Crapgame (a supplies sergeant and black marketeer) a robbery of 16 million dollars in gold from a bank deep behind German lines. He quickly offered his team for the job. Kelly accepted his help, despite his dislike for the undisciplined, rebellious, unshaven, unkempt gang of semi-deserters. Sgt. Oddball and his men stayed for the night to party one last time before their new endeavor. They left the next morning, moving quickly and crossing enemy lines later that same day. At one point they found themselves attacking a number of German soldiers assembled at an intervening railway station. However, the bridge they needed to cross had been destroyed by the US Air Force right before their eyes. Needing to cross the distance to succeed in their mission, Sgt. Oddball contacted a friend in a pontoon company. He offered him a cut of the gold if he was willing to assemble a make-shift bridge. His friend agreed, but not only did he bring the pontoon, but also a music band as a protection unit. As the rumors ran amok, gold fever started among the 35th Infantry Division, the 321st Armour Division, and a unit called the diggers squad. They eventually came to take part in the private operation. At that point, the bombastic US major general Colt had intercepted the radio communications of the fortune seeking soldiers. Believing the references to “breaking into a bank” was a code of some sort, hurried to join the “courageous and heroic men,” ready to decorate them for their valor. Meanwhile back at the river Sgt. Oddball and his crew fell under intense fire by German soldiers. Two of Sgt. 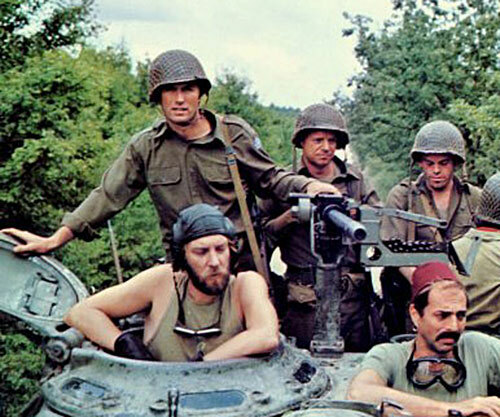 Oddball’s tanks were destroyed, but his crew along with the gathered forces of Big Joe and Kelly’s men were successful in crossing the river, quickly making their way towards the town where the gold was kept. When they arrived they discovered it was being guarded by 3 Tiger tanks and 30 to 40 German soldiers. Soon after the final attack was underway. However, when the battle was reaching its conclusion it had been only somewhat successful. Sgt. Oddball’s Sherman was down and the Germans still had one Tiger holding its position in the village square where the bank was located. Considering their limited options, Sgt. Oddball and company cut a deal with the remaining Germans who were unaware they had been guarding 16 million in gold housed within the bank. Using the Tiger gun to level the bank, the combined assemblage of the German and American soldiers fled the town with the gold and made their way towards Switzerland, leaving the war behind. Sgt. 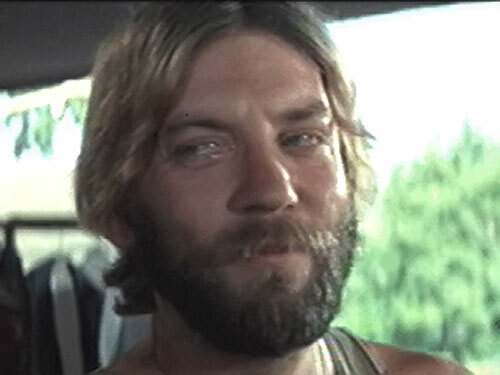 Oddball is played by a younger Donald Sutherland in his early 30s. He wears a standard military issue collared shirt bearing a German Iron Cross, military trousers, a brown leather jacket, and a black military issue helmet. He carries a German Luger as a sidearm. Sgt. Oddball is an unkempt man who has mussed hair and a scraggley beard. Sgt. Oddball is a freak, even for a WW II tanker. 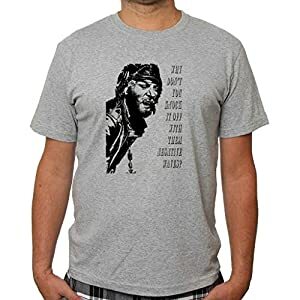 He is lazy and eccentric, and even when quiet displays the happy smiling absence of someone who appreciates the sweet indulgences of marijuana. He often seems relaxed, even passive, during the most strenuous of situations such as the heat of battle. Sgt. Oddball is a strong believer in the power of positive thinking. He is often arguing with his driver Moriarty, who is a dire pessimist, as depicted in the quotes herein. Despite his demeanor, Sgt. Oddball is very serious when commanding his men, thereby he has shaped his squad into an effective unit. Kelly, Big Joe, Oddball and the others were captured by Easy Company before getting away with their plan. Having showed remarkable skill, bravery and resources in their coup, instead of being court marshalled, they were assigned to the post-WW II Suicide Squad. They served for a few tours, fighting on Dinosaur Island with the Haunted Tank, and after several losses, obtained their pardon. Of course, they had been smart enough to hide some of the German gold before being caught, so the survivors could spend the rest of their lives, though not rich, living comfortably. Familiarity (military equipment and protocols, German tanks of WWII), Rank (Sergeant), Misc. : Oddball can spend HPs to procure cigarette and alcohol in the field and even behind enemy lines (a low-cost Altering the Environment). Sgt. Crapgame (Low), 321 Armor Division (High). Bad reputation (Freak), SIA toward Eccentric conduct. The highly hippiesque tank squad of Sgt Oddball had made some changes. Some of them were practical (making them faster), some were clever (like mocking up their guns so that they resembled a 90mm instead of a 75mm). Other changes for example include, using paint projectiles to scare the Germans or playing music through loudspeakers during an attack (providing a calming affect for the tankers). The driver of Sgt. 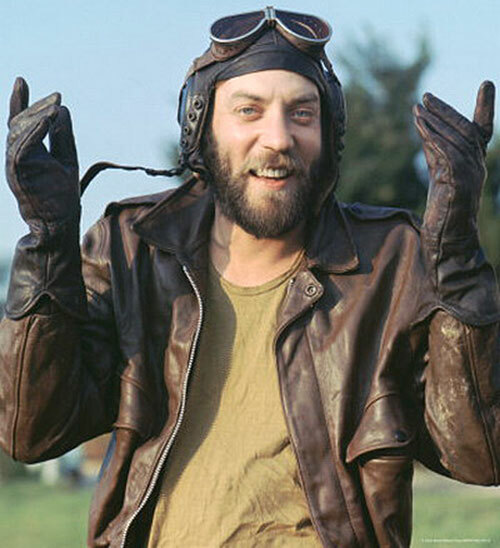 Oddball’s Sherman tank, Moriarty, is a highly competent mechanic and as such has Gadgetry: 07. M4 SHERMAN [STR 07 BODY 08 (Hardened Defence), Projectile weapon (Autofire): 08, Running: 07, R#03] w/75mm MAIN GUN [BODY 06, Projectile weapon: 09, Ammo: 01, Bonus: Projectile weapon has an EV 06 area of effect over 0 APs, Limitation: Long Reload Time, Note: 90 rounds onboard]. If a gunner rolls a 02 when firing the 75, he will accidentally shoot one paint projectile. 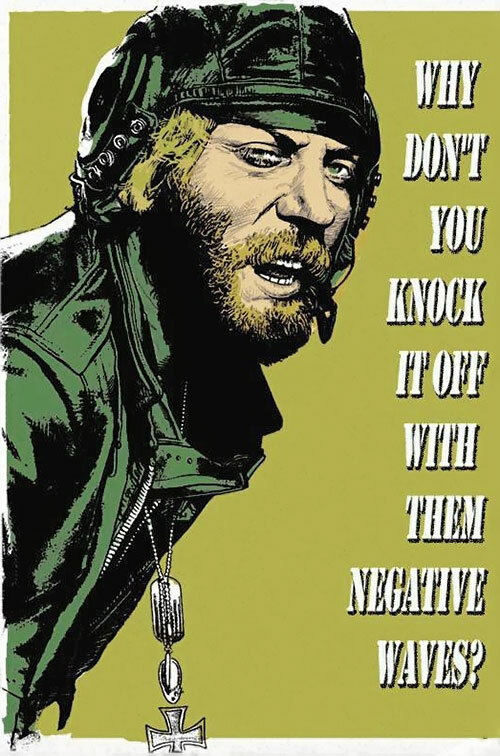 Source of Character: A film by the name Kelly’s Heroes (character portrayed by Donald Sutherland). Helper(s): Dr. Peter S. Piispanen, Pufnstuff, Frank Murdock, S&eacutebastien Andrivet.